Hey, what’s up! My name is Nobita, a native Japanese guy who was born and raised in Japan. Writing in English is terrifying! This is a big challenge for me. Please readers! Don’t be too hard on me! My very first post on City-Cost is about suicide in Japan as I made a video about the subject recently. 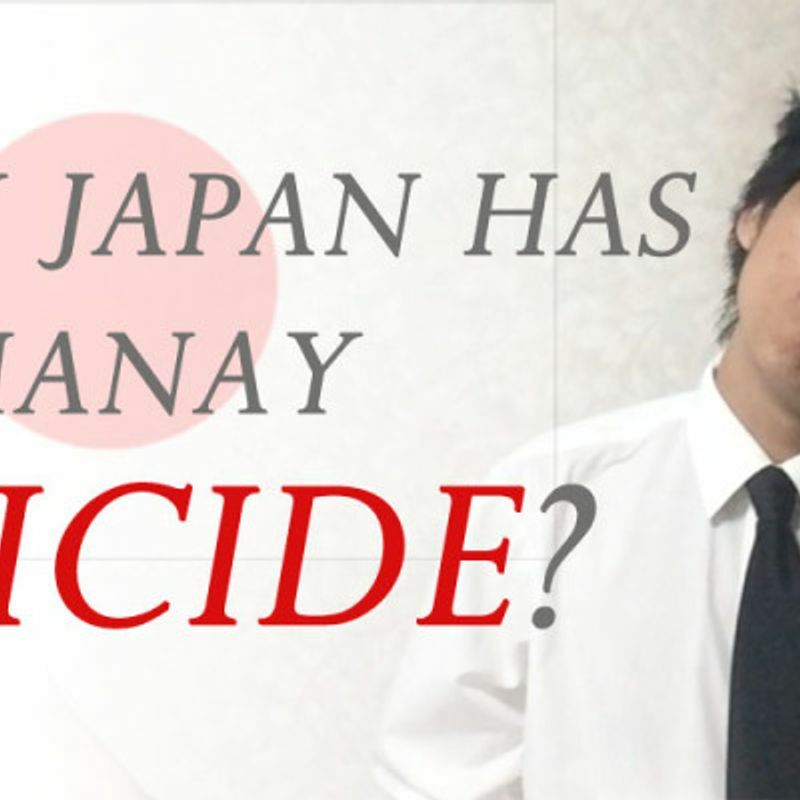 Why many Japanese "Commit Suicide" in Japan? (Sorry, I was a little bit too emotional at that time, so it might seem like I’m a little crazy). Suicide in Japan is a huge issue. Statistics say that more than 250,000 people in Japan take their own life every single year. Among developed countries, Japan has an extremely high suicide rate. This is definitely not something we can be proud of. As a Japanese person, it makes me really sad. Maybe this situation doesn’t make sense to you, right? Japan is economically so successful, and such a great country. Many people have decent jobs and can make money enough to live their own lives. Even though, “The more money, the happier.”, doesn’t apply to everyone, you may be a little confused. But it’s no mystery for me. 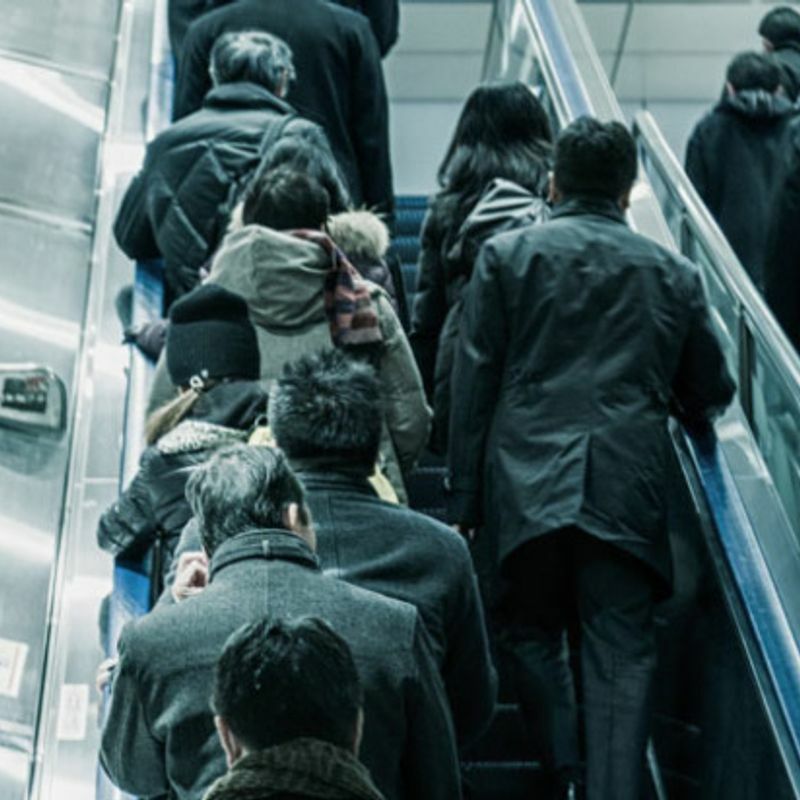 Every time I take the train in Tokyo, the faces of the people look very tired, sad, and have no energy at all. You can easily see how stressful and painful their situations are. Studies or statistics about suicide in Japan aside, I’m gonna talk about the reasons for suicide in Japan only from my perspective. In my opinion, there are 2 major reasons. Actually, I know well how hard and stressful typical Japanese companies are, as a person who has experienced them. (I’m self-employed right now though, so I don’t belong to any company currently). Imagine, 6am get up. 11pm get home and immediately go to bed. This is not only on weekdays. Sometimes even weekends. This is not joking. To make matters worse, in my case, I didn’t like the job at all so everyday meant nothing to me. I was hoping tomorrow never comes. I was always working insane hours and looking back, I felt like I was a prisoner. Of course the paycheque was coming in each month, so I was stable, at least financially. That being said, it was definitely NO LIFE AT ALL. Many Japanese companies have a strong work-ethic environment, meaning your first priority should be your job. Your family or friends or anything else is secondary. It’s not rare to work even weekends in Japan. If you truly love your job, there is no problem at all. But if you don’t, you would get so much stress, and, for many, end up taking your own life. Going university is really important in Japan. Society or media or TV tells you, "You should definitely go!”. Some people believe going to a famous university is the only way to get a job and become a successful person. As a result, many parents are crazy to make their children go to university regardless of their children’s will. Fortunately for me, my parents didn’t push me too hard to go to university (I went by my own will). But I heard some parents force their children to study all day, every single day from an early age to get in a famous university or to achieve academic success. Obviously not every child likes studying. Everyone has different likes and dislikes. If you are doing things you dislike too much, stress levels will get higher and you may end up in a hopeless situation. A sad fact about suicide in Japan is, even so many young people also take their own lives. Compared to other countries, the rate is extremely high. Of course, there are a lots of reasons, but one of them is definitely too much pressure from parents, I think. 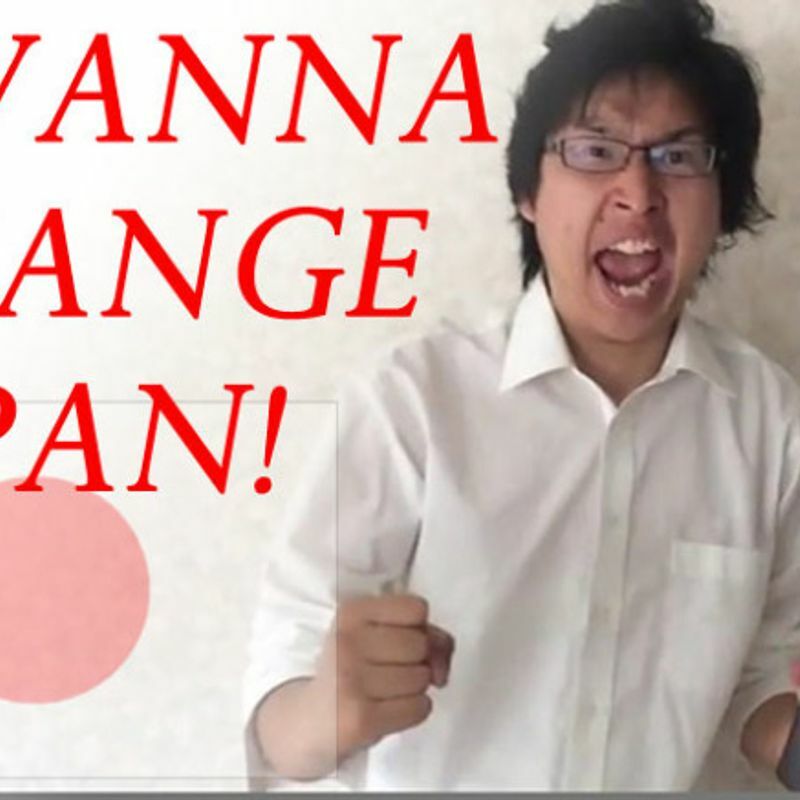 As a native Japanese person who truly loves Japan, I’m not happy about suicide in this country and couldn't just let it go. My action is to make people smile as much as possible. Every video I make is related to this, always. Sometimes I ask crazy questions just because I want to see people smile and show this to others. If you watch the below video, you can see what I’m talking about. I’m not a politician or celebrity or anything else. 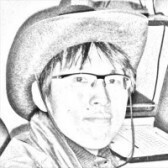 I’m just an ordinary nerd-looking Japanese guy. I know I don’t have a big influence in society. But it’s OK even if I reach a few people. If only one person feels better from watching my videos, I’d be really happy with that. "The more smiles, the less suicide in Japan”. This is my favourite mantra. I keep saying to myself. I strongly believe it! This is real. I like to discuss about it. And also i'm a person who seriously thinking and try suicide before. Well done on your first post- your English is really great! The suicide rate in Japan is really devastating and I also have been very interested in why this is the case. I haven't been in Japan long but I have been realising from people I meet the sheer amount of work and pressure people are under. I find it heartbreaking that a job can be put above family and other things in life. That is not how it should be. There is so much more to life than your job and your social status. Life has to be more than that and if it's not, I understand why people in this situation may think everything is pointless. I think that the fact you are trying to reach out to people and feel passionate about helping is something worth doing and you should keep going! Nobita!! So glad you are sharing this here! I'm wondering what kind of outlets there are for Japanese people to seek support with this sort of thing. Or anyone, for that matter. Maybe there are groups/organisations in place, but people are reluctant to approach them? On the 'too much work' point; I heard the Japanese government put into effect some policy that would 'force' workers to use more of their vacation days (as most people only use a few of them, it seems). I'd be interested to know if this policy has actually been put into place, and whether or not it will work. You are a good person. God bless.